First I needed a lot more connections. 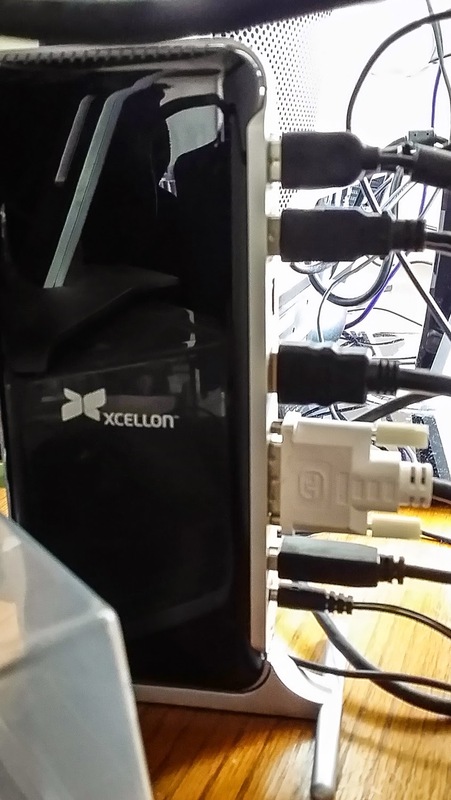 I bought this Xcellon docking station ($100) and an additional USB 3 expansion dock from B&H. 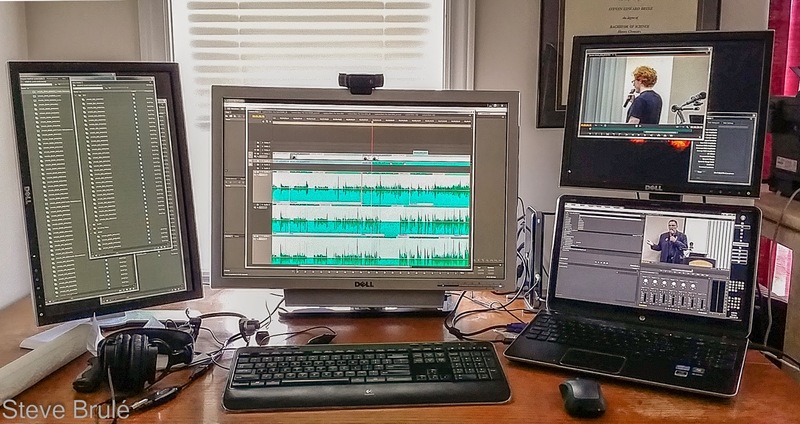 The dock provides dual monitor support, so I attached the two monitors from my desktop, but why stop there? I had another old Dell LCD in the basement so I put it above the laptop screen and connected it to the built-in video output. I then took the hard drives out of the dead desktop and installed them in two external USB3 hard drive docks. 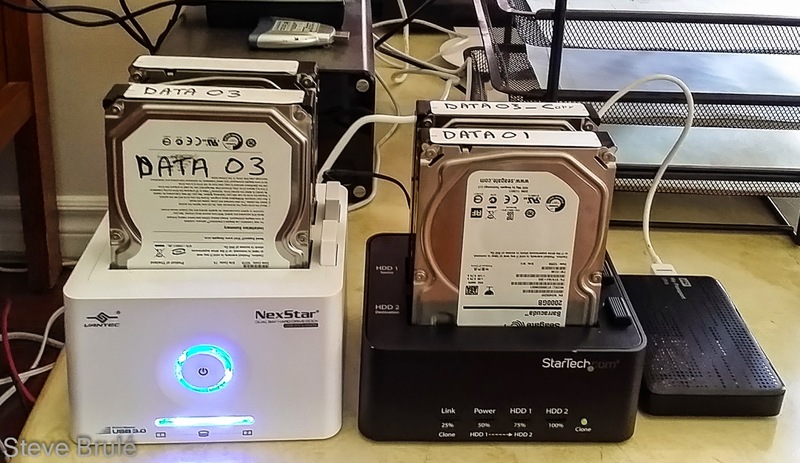 The StartTech dock also functions as a standalone hard drive duplicator - bonus! So now I have about 16 TB of data on tap simultaneously, when I include the three portable USB drives, as well as a speaker connection, external webcam, and audio headphones. 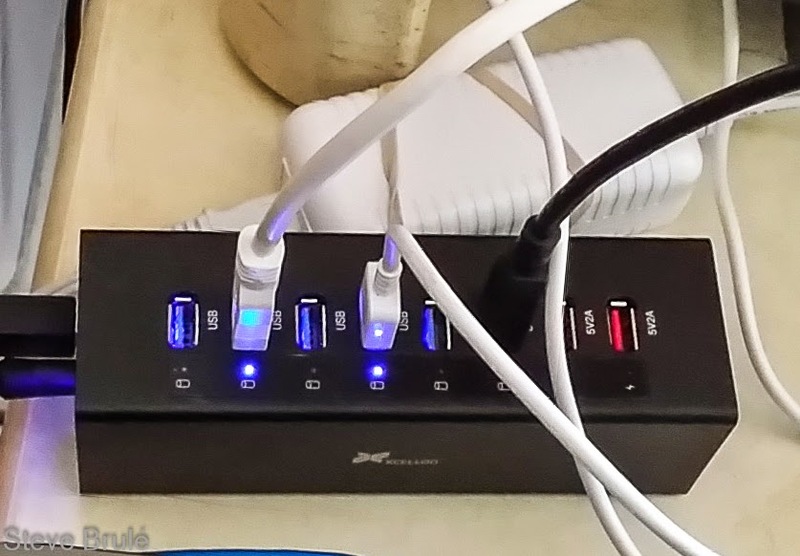 I added an additional 6 USB 3 ports to the existing 6 ports on the Xcellon USB dock, which is more than it was designed to take, so I don't use the docks built-in network connector since it would add more load to the USB path. Instead, I connect the network cable directly to the laptop. One advantage of this setup is that it would be simple to switch out the laptop for another one. Almost all the drives and peripherals are connected to the dock. To my surprise this is all running. 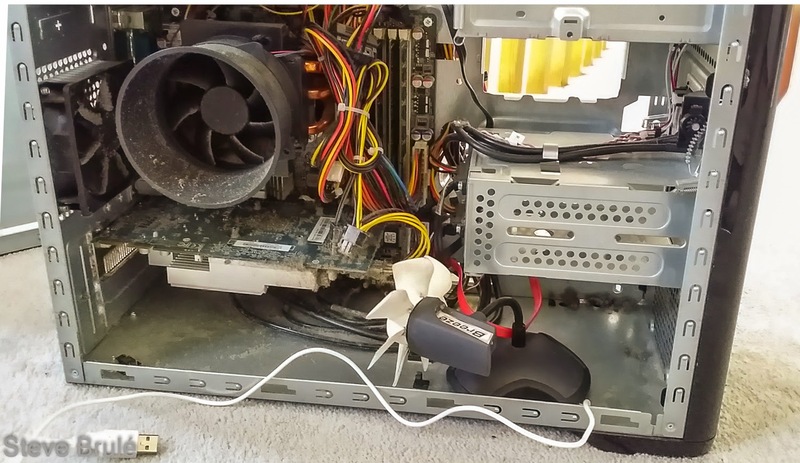 No crashes, only minor hiccups. Fingers crossed.